The breathtaking beauty of the western United States is apparent in this image from the Multi-angle Imaging SpectroRadiometer on NASA's Terra spacecraft. 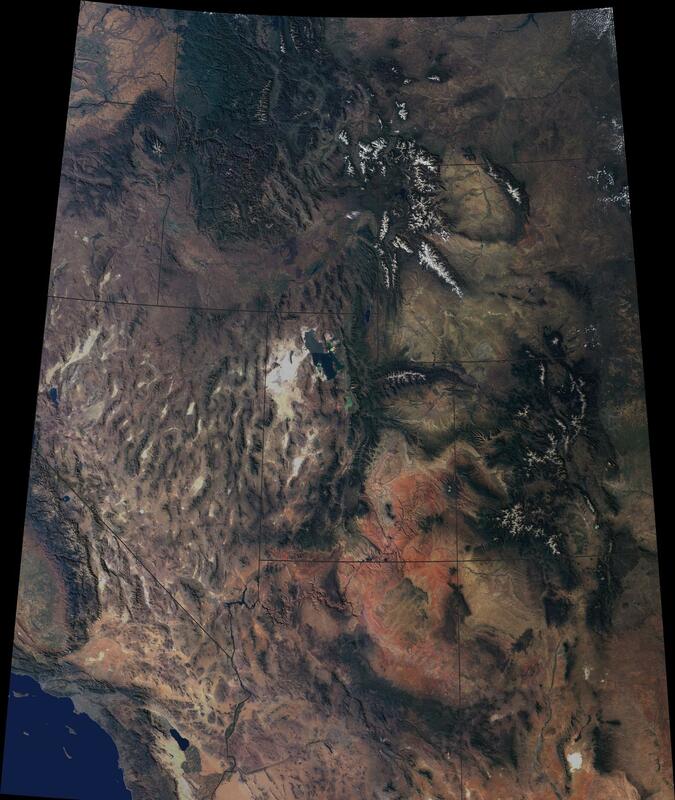 Data from 16 different swaths acquired between April 2000 and September 2001by MISR's vertical-viewing (nadir) camera were used to create this cloud-free natural-color image mosaic. The image is draped over a 100-meter (328-foot)shaded relief Digital Terrain Elevation Model from the United States Geological Survey. 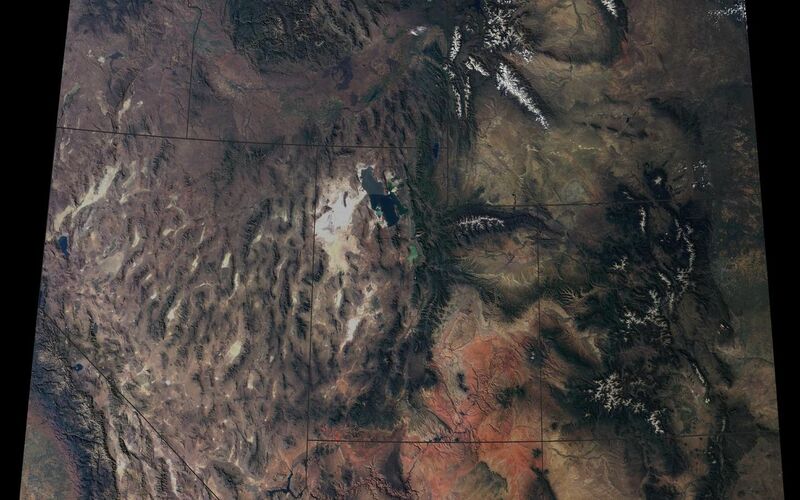 Among the prominent features are the snow-capped Rocky Mountains traversing Montana, Wyoming, Colorado and New Mexico. 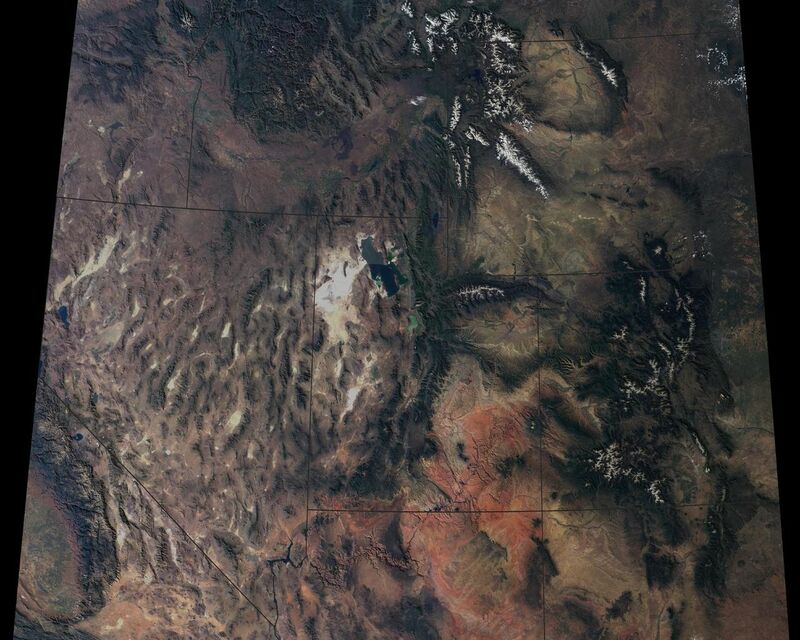 In the northern portion of the image, the Columbia Plateau stretches across Washington, Oregon and Idaho. Many major rivers originate in this region, including the Missouri to the east of the Continental Divide, the Snake to the west, and the Colorado which wends across Utah and Arizona. The Colorado Plateau and vibrant red-colored rocks of the Painted Desert extend south from Utah into Arizona. 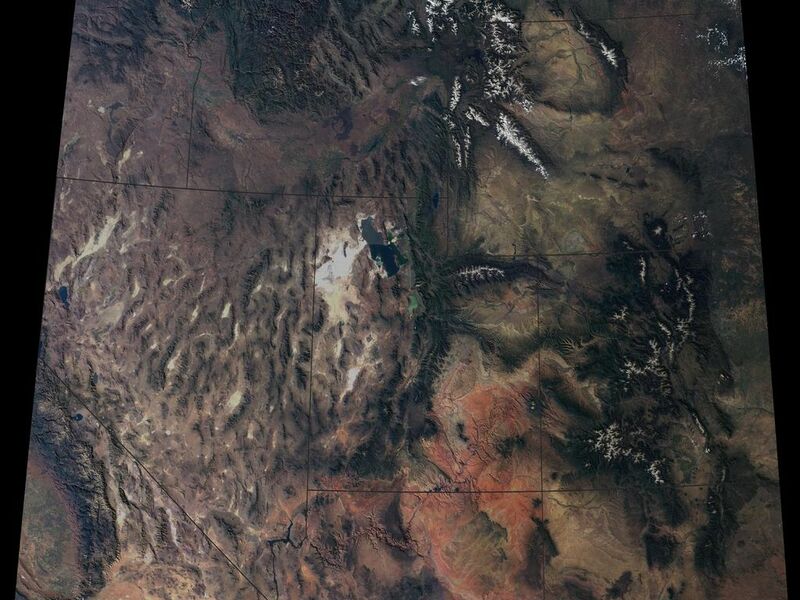 In the southwestern portion of the image, California's San Joaquin Valley and the Mojave Desert of California and Nevada give way to the Los Angeles basin and the Pacific Ocean. The Terra spacecraft is part of NASA's Earth Science Enterprise, a long-term research and technology program designed to examine Earth's land, oceans, atmosphere, ice and life as a total integrated system.